This summer will give us a new chance to offer the dream vacation for those without the chance. The three days camp offers to about 70 kids from Sunday school the time to enjoy a loving and caring environment with proper meal times, showers and a good bed sleep, with valuable teaching for life as well with exciting game times and sports. By this year camps we want to encourage the children to have dreams in their lives by presenting the life of Joseph, the son of Jacob, who trusted God even when nobody believed in his dreams. 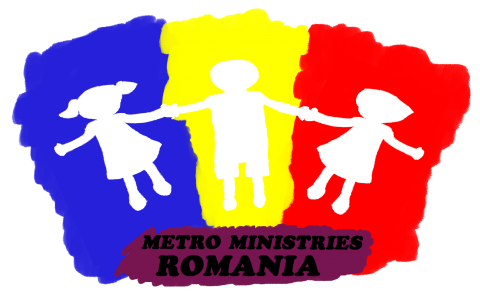 Fifteen Swedish young people will take two weeks of their vacation in order to give to our kids help alongside the Romanian team and volunteers, taking care of the kids, playing the dramas, as well helping with the games, sports and crafts. Another nice group of nine Belgium young people will come along side the Swedish to bless the children from Albesti Gypsy Valley community with some special day camps, to give them a good time to play with water balloons, get washed, have some fun getting to do crafts, faces painting, eat some good sandwiches and encourage them to dream as well for a better future with God. Later in July we will visit other villages with the Swiss team with special day camps and joyful games as well good teaching and dramas. The Lugano youth team will offer a special Vacation Bible School to the children with workshops and personal input on their lives, beside many other creative activities at Rhema House center. This program will be dedicated to the kids from Goldberich and surroundings. One child can be blessed with a small gift of 25 euro; with this amount we can give to the kid an unforgettable memory, a time of encouragement to walk out the muddy house or poor neighborhood in order to become a truck driver or a nurse, a teacher, a hair dresser or a carpenter …. Or even more if that’s the dream God has for his/her life. If you want to know how to make a donation click HERE.